This article will tell you how to access your virtual machine's (VM) configuration. 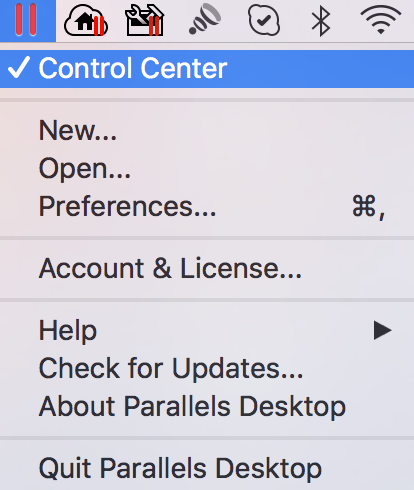 Click on the Parallels icon on Mac menu bar and choose Control Center. 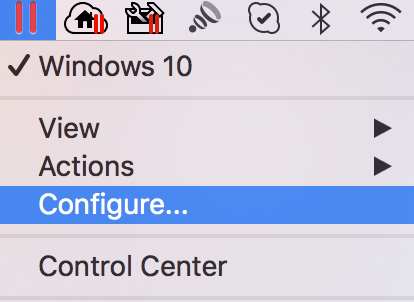 Click on the Parallels icon on Mac menu bar and choose Configure under your virtual machine section. 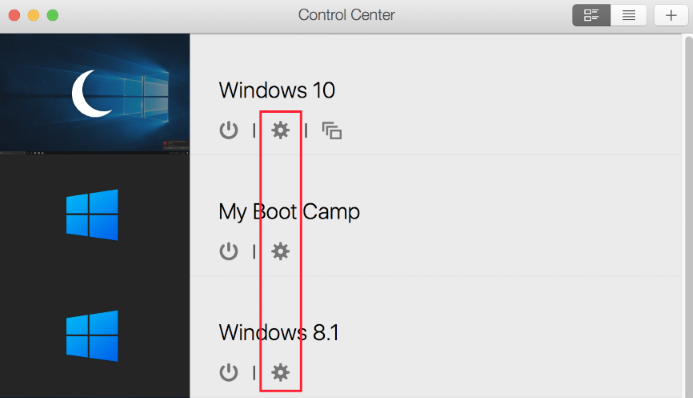 OR Click on the cogwheel on top right corner of the virtual machine's window. 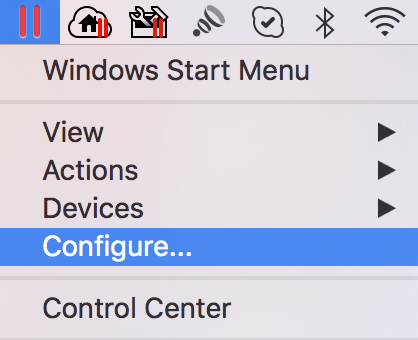 Click on the Parallels icon on Mac menu bar and choose Configure.